1960's Ford Hubcap Dulcimer Strumstick — A unique music store in Brown County, Indiana! Today we feature another 100% unique locally built instrument - The One-of-a-Kind 1960’s Ford Hubcab Pickin’ Stick! This is something you definitely don’t see everyday! This unique Strumstick Pickin’ Stick was built by local Nashville, Indiana dulcimer player Jim Earl! 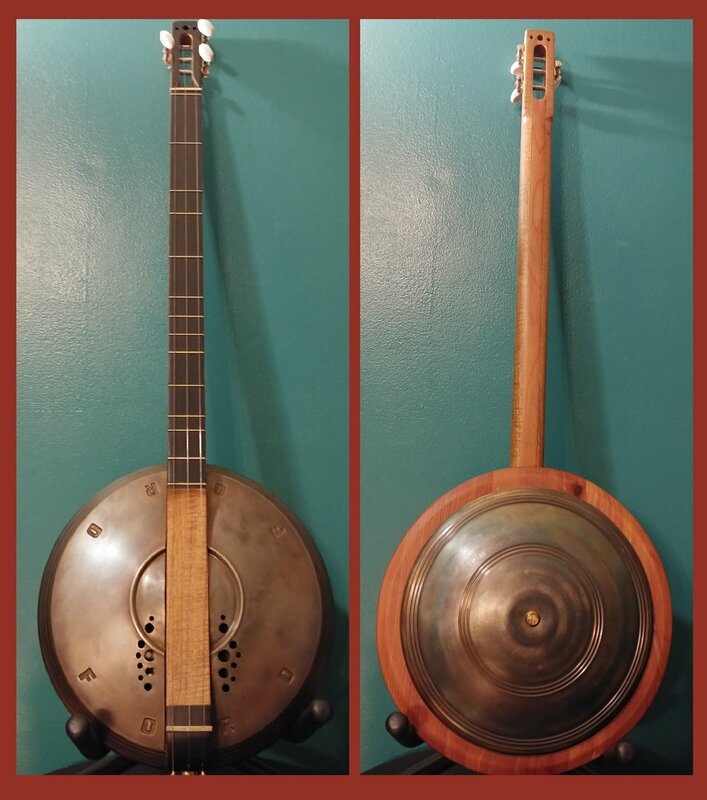 Jim is a creative soul who has spent many years doing a variety of woodworking projects personally and professionally and has recently begun exploring the world of musical instrument luthiery! His creative flair adds a very unique touch to all of his instruments and he clearly strives for excellent quality in his builds. This Strumstick is fun and easy to play making it a perfect first instrument or an interesting addition to your musical collection. Built with a Dulcimer neck and tuned to Open D tuning, it is hard to hit a bad note on these strumsticks! This particular Pickin’ Stick also comes with the added benefit of being equipped with a pickup for playing as an Electric as well as an Acoustic! Don’t miss out on your opportunity to get this absolutely one-of-a-kind instrument - Available this weekend only for 10% off!!!! Regularly priced at $399.99, but available this weekend for only $359.99!! !